A bone marrow transplant puts healthy bone marrow into a patient whose bone marrow is not working correctly due to damage or disease. 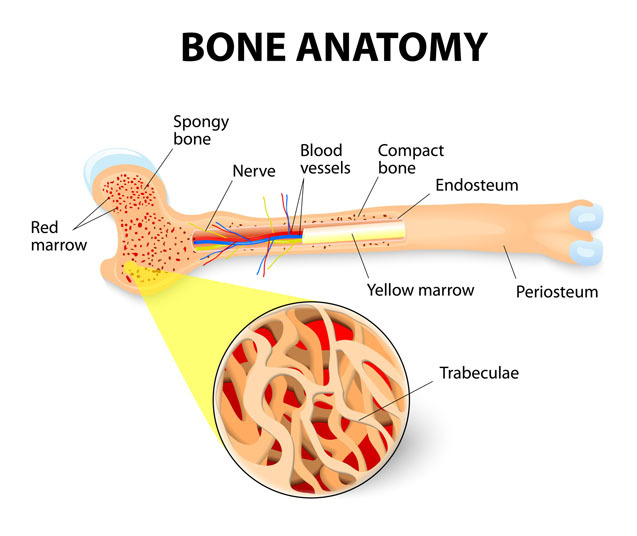 Bone marrow is soft, fatty tissue that provides a location for the production of blood cells needed for clotting, carrying oxygen, and fighting diseases. A transplant restores production of these blood cells. A bone marrow transplant may be needed for patients who have undergone chemotherapy or radiation to treat cancer. It can also be used in patients who are suffering from hereditary blood diseases, immune deficiencies, or metabolic diseases. There are no non-surgical or surgical alternatives to a bone marrow transplant. However, a few different methods of the procedure may be used. 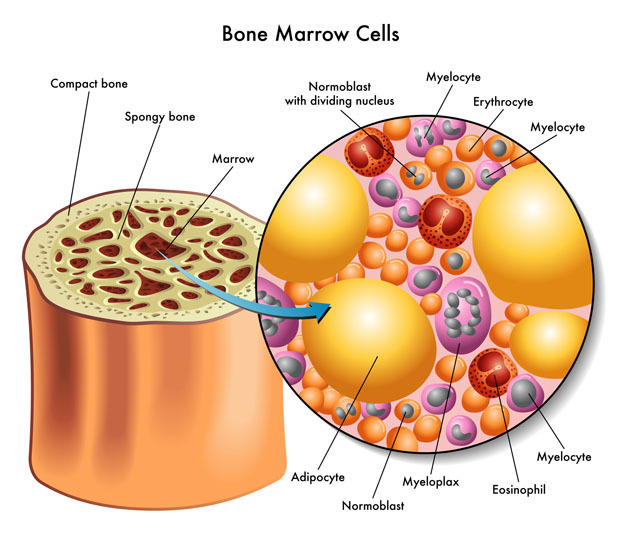 Healthy bone marrow can be taken from the patient’s own blood (autologous stem cell transplant) prior to radiation or chemotherapy. It can also come from a genetically matching donor (allogeneic) or from an umbilical cord. A bone marrow transplant is performed under local or general anesthesia. Patients are most vulnerable to complications in the first few months of the bone marrow transplant. Possible complications include infection, bleeding, and graft failure. Many patients feel weak and tired in the first few weeks following a bone marrow transplant. It can take up to six months to fully recover from the procedure.